Who doesn't love a good flashback episode, amiright? The costumes. The swords. Klaus Mikaelson's terrible hair! What's not to love? The Originals Season 3 Episode 3 jumped back about a thousand years to the time Klaus and his siblings spent in the Court of Marseilles. As baby vampires, on the run from their father, they had absolutely no idea what they were doing and accidentally set in motion what might now bring about their end. Lovely. It's weird sometimes when The Originals and The Vampire Diaries can keep giving us brand new information after all these years, but tonight we learned how Klaus and Elijah learned they could make more vampires. It was a total accident, one Esther probably didn't foresee as a possibility when she wrote the spell which turned her children into monsters she later tried (repeatedly) to kill. I mean, talk about your loopholes! I'm assuming at some point, probably next week on The Originals Season 3 Episode 4, we'll learn how Elijah sired Tristan and Aya and the circumstances leading up to that moment. It's really hard to imagine because Tristan is a total jerk. Why would Elijah want a d-bag like him sticking around for eternity? Anyway. Now he's here, and what we're seeing right now is Lucien and Tristan each trying to kill the other's sire. Lucien needs Elijah dead because then Tristan and his sire line and "vampire society," The Strix, would die too. Tristan needs Klaus dead because he eliminates Lucien and also because of that time Aurora fell in love with Klaus. This sire line thing is all pretty interesting right now simply because it could go anywhere. I don't think we're in danger of losing any of our principals (except, perhaps, Rebekah's body) but you never know. My brain is spinning in about 100 directions about how this could all play out with this beast or weapon which can kill an original. I'm pleasantly surprised and intrigued. Yusuf Gatewood was absolutely correct when he said Andrew Lees was someone to watch. He's bringing a little pep to the Quarter. He's feisty and fresh but also incredibly broken. It was enjoyable to watch Cami try to analyze him, though watching Cami analyze people is going to get old if that's all she's given to do. I don't want to see her be a damsel in distress, but I do want to see her interact with people in ways other than strictly professional. Flesh her out, writers. Give her something to do besides pour drinks and dispense wisdom! Unless, of course, she can maybe talk Marcel down off a ledge. 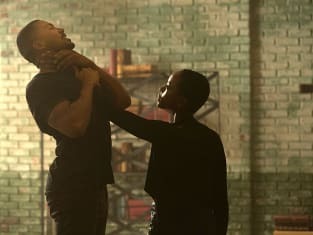 It's hard to believe that in one altercation he would be nearly ready to switch from Team Mikaelson to The Strix, but after Elijah's dismissal, referring to him as "Marcellus," the former King of the Quarter isn't happy at all. He might be the friend with the potential to bring about the death of one of the siblings. Here's an interesting point to ponder. What happens to Hayley if Klaus dies? Is he her sire because he is Hope's father? 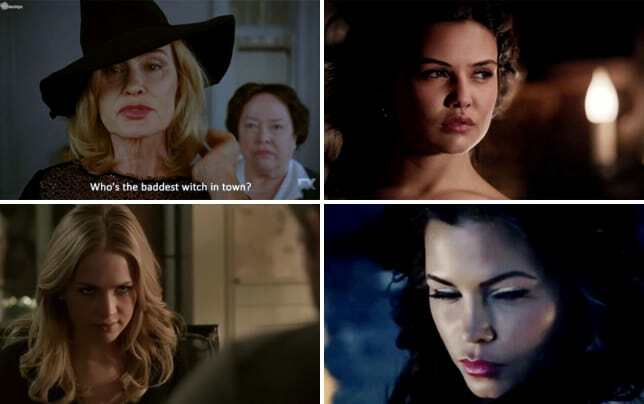 Does Hope's magical element make her Hayley's sire? If Hayley's life is in danger, she should probably spend some more time with Jackson in the sparring cage. That was pretty hot. Seriously. As much as I didn't want to like those two together, I just can't help it. It's odd that Tristan hasn't come after Hope yet, since getting to her would most certainly get to Klaus, but there's always time for that. We do have 19 episodes left. What are your thoughts about tonight's episode? Was it cool to see them discover how to create more vampires or a waste of time? Who is the bigger bad: Tristan or Lucien? Let's take it to the comments to discuss this week's installment and don't forget you can watch The Originals online! Klaus: Have you finally forgiven me? Elijah: I will consider it. When Hayley forgives you, Gia rises from the dead, and Hell has frozen over. I'm afraid we might have to resort to something deliciously medieval here, brother. Permalink: I'm afraid we might have to resort to something deliciously medieval here, brother. The Originals Round Table: Jackson + Hayley = HOT! 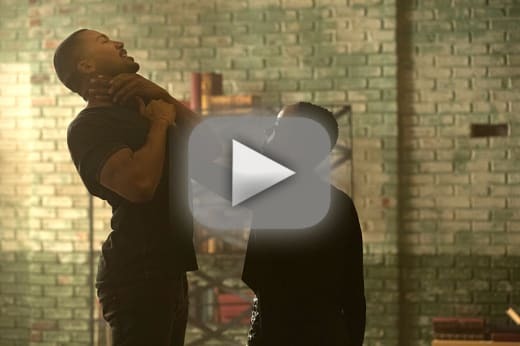 The Originals Review: Flashbacks Forever!